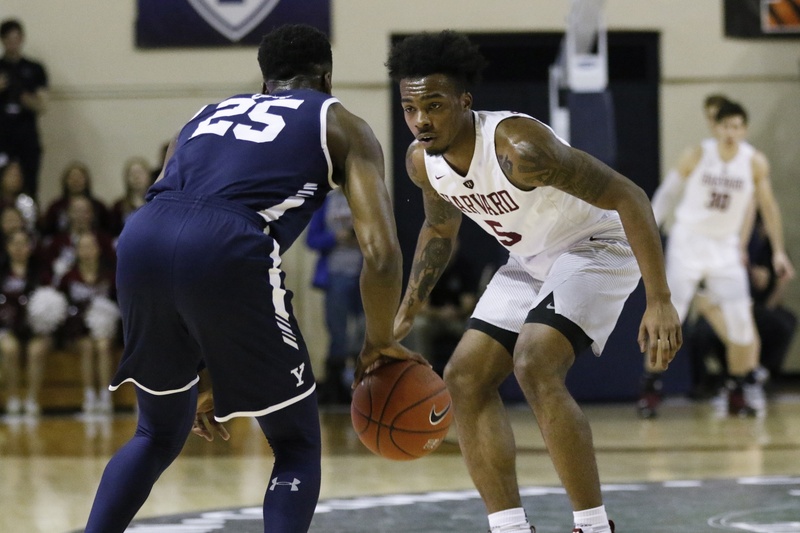 Harvard men’s basketball cannot dwell on the disappointment of Sunday’s loss to Yale in the Ivy finals, as there is still meaningful basketball left to be played. This game will not be held in Capital One Arena (the NHL’s Washington Capitals also have a home game there on Wednesday night). Instead, the 7 PM contest will be played on-campus at the 2,500-seat McDonough Arena and is scheduled to be broadcast nationally on ESPN2. Tickets will not be distributed publicly, although there will be a small allotment to Harvard supporters according to an email by the Harvard Ticket Office. The No. 6-seeded Crimson booked its spot in the tournament through winning a share of the Ivy regular-season title, while No. 3 Georgetown earned an at-large bid after finishing in a tie for third in the Big East Conference. Considered a bubble team, the Hoyas saw their March Madness chances eviscerate after falling to Seton Hall in the tournament quarterfinals. Nevertheless, this is a Georgetown team on the rise in Year Two of the Patrick Ewing era. The Hoyas have not played in a postseason tournament since its loss to Utah in the 2015 NCAA Tournament, and their 9-9 final conference mark is the best since that season. Ewing’s return to his alma mater has injected new talent and appeal to the program, exemplified by his trio of first-years: Big East all-freshmen Mac McClung, James Akinjo, and Josh LeBlanc. Akinjo, a 6-foot-even guard who was named Big East Freshman of the Year with his 13.3 points and 5.3 assists per game, is connected to Crimson first-year Mason Forbes. The two were AAU teammates in the Bay Area and competed against each other in their senior-year high school playoffs. Forbes hails from Folsom High School, while Akinjo graduated from Salesian College Prep. 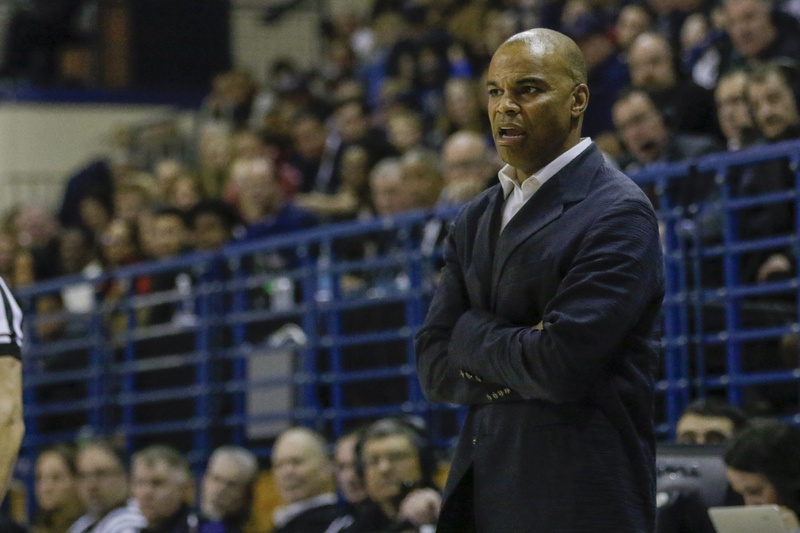 Harvard’s own Tommy Amaker will also have the opportunity to briefly return back to the “DMV”, although he acknowledged his team will be unable to participate in extensive off-court activities due to the tight turnaround. When playing Howard, the team stopped by the Martin Luther King Jr., memorial and planned on visiting the National Museum of African American History and Culture if not for the government shutdown. Still, Amaker said that he fielded multiple offers from alums and friends to host the program outside of the game. The Harvard coach is a graduate of nearby W.T. Woodson High School and remarked on his connections with the Georgetown program through former teammates. Outside of the aforementioned Akinjo, the Hoyas are led by towering senior Jessie Govan who leads the team with 17.3 PPG. The 6’10” all-Big East first teamer returned his final season despite fielding NBA interest and threatens from both the interior and beyond the arc, with a 40.7 percent mark from deep. Georgetown has been carried offensively by their three freshmen and Govan, with wins over Marquette and Villanova in a competitive conference slate. One such freshman, McClung, received notoriety on social media before even stepping foot on campus due to his dunking mixtape. But the Virginia native has also impressed with his perimeter shooting and propensity to hit big shots late in contests, much like the Crimson’s Bryce Aiken. Speaking of Aiken, the duel between he and the Georgetown guards should be an exciting one. 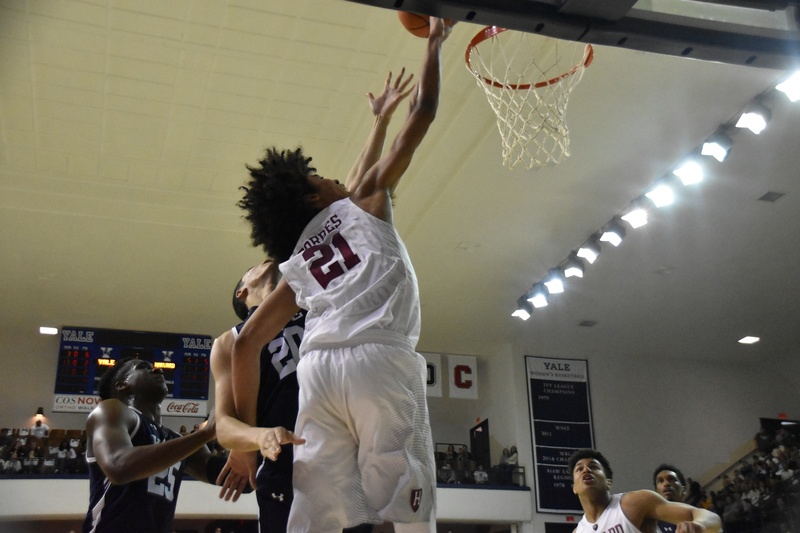 Coming off a 38-point performance against Yale, the Crimson guard will need another resounding individual effort to get past this Hoya side and prolong its season. This will be the Harvard point guard’s first time playing in a postseason tournament, as he was injured in last season’s trip to Milwaukee. Harvard lost to Marquette, another Big East side, in the first round of the NIT 67-60 to conclude their campaign. For now, Harvard is gearing back up for two more practices and recalibrating for a compelling matchup of two renowned institutions. A meeting at the Hilltop, to decide if Harvard can move on. Time for postseason basketball.